Workload management is integral to the success of human-machine teams, and involves measuring and predicting workload and implementing proactive interventions to mitigate the adverse effects of degraded performance. Common approaches to workload measurement rely on the use of subjective, behavioral, and physiological metrics. These approaches suffer from two important limitations. First, the mapping between workload, subjective ratings, behavior, and physiology is complex and noisy, resulting in high uncertainty. Second, metrics based on subjective ratings, behavior, and physiology often fail to explain why performance degrades, and consequentially does not inform the development of mitigation strategies. As an alternative, we propose using cognitive metrics profiling (CMP) to improve the measurement and prediction of workload. 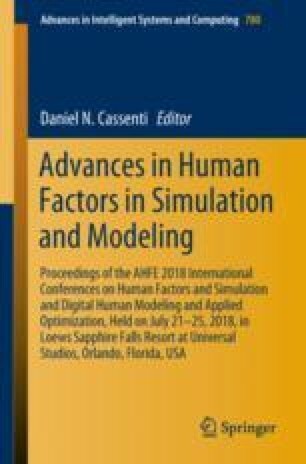 This approach uses computational cognitive models to simulate the activity within individual cognitive systems, such as vision, audition, memory, and motor, to measure and understand workload. We discuss how CMP can be used in an unmanned vehicle control task.